If everyone had a chance to see Mount Hood at sunrise early in their life, there would be a lot more people living in Portland, Oregon. And for all of you non-Oregonians out there who think that it doesn’t do anything but rain in Oregon all winter long, well, you might just be right! But the occasional breaks in the weather make the long damp winters survivable, if not well worth it! (Click on the images below to see larger versions). 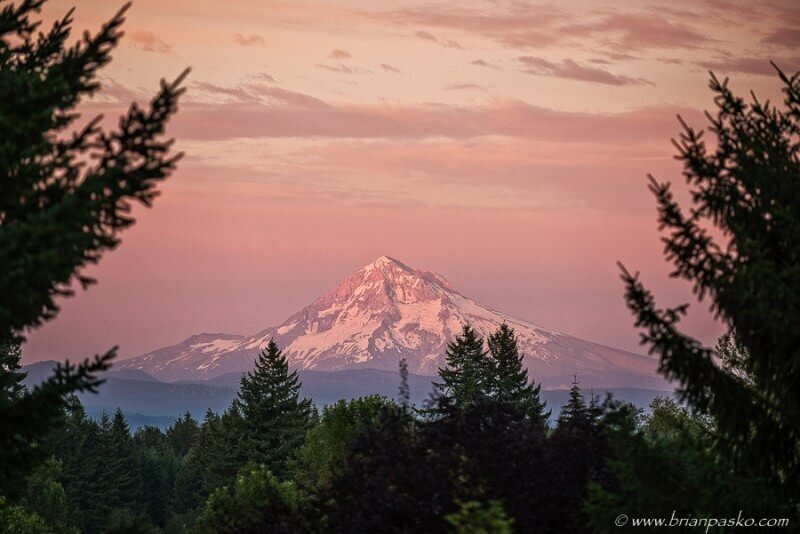 Those who follow me know that I often refer to Mount Hood as “my mountain.” I say this often. So much that some people think it is because I want the Mountain all to myself, or that I’m unwilling to share. But truth be told, it’s more about my sense of place. My love for Oregon and the Pacific Northwest. And the deep passion I have for protecting and sharing the wildness and beauty of this place I am fortunate to call my home. You see, I am privileged to live in Boring Oregon, about 20 miles or so from Mount Hood as the crow flies, where I have a direct view of “my mountain.” On the frequent days when the clouds do not obstruct the view, I have the pleasure of glancing toward Mount Hood and saying hi to her just about every morning. And in the evenings, when the sun sets to the west, she often wishes me goodnight with her face awash in color (an effect which those familiar with mountains refer to as “alpenglow”). But I am not quite so silly to suggest that Mount Hood is only wishing goodwill to me and my family alone. Rather I believe she is in love with all Oregonians. As we are with her. 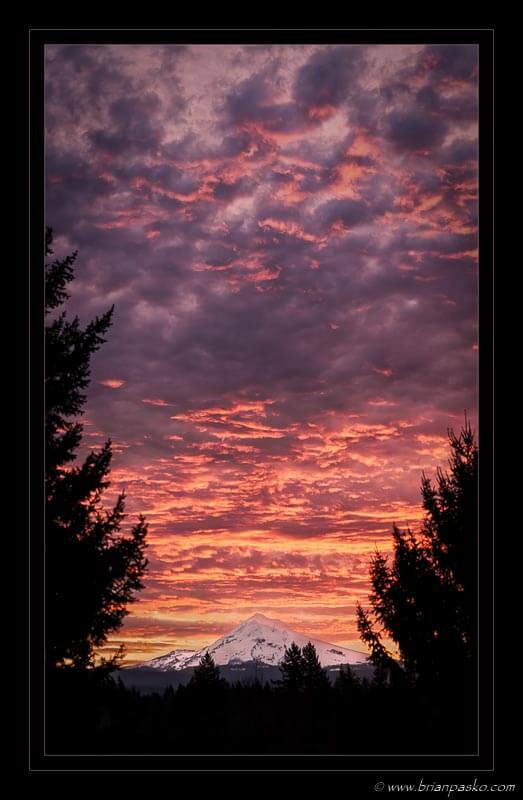 And for those of you who do not have the fortune of living in or visiting Oregon and the Pacific Northwest and witnessing our mountain sunrises in person, I share these images with you in the hope that you might live vicariously through my photographs. And in that light I invite you to explore more and perhaps purchase prints of my fine art landscape and nature images. Click here to see more!